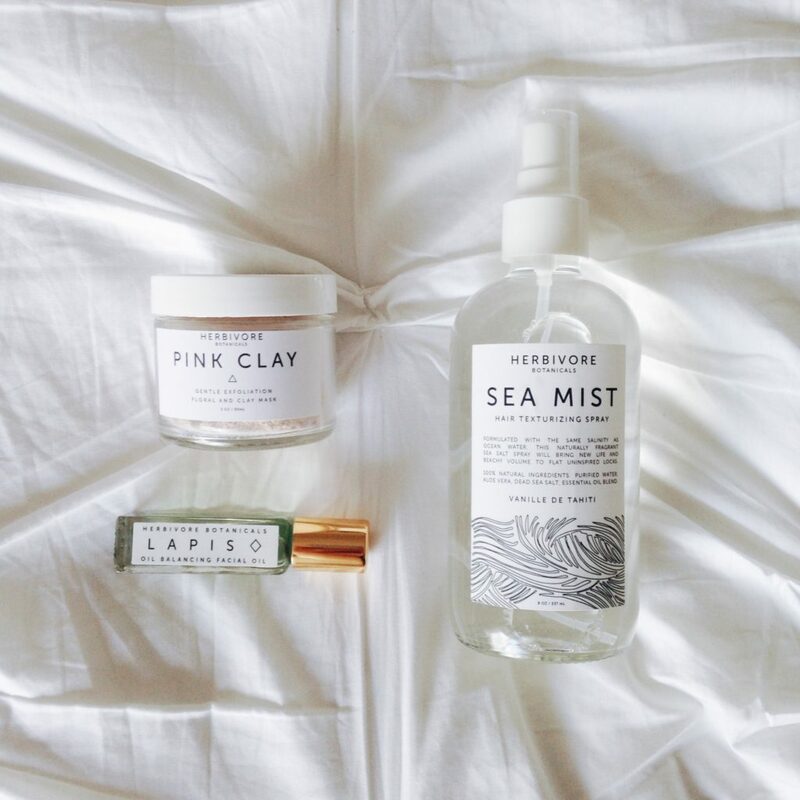 Herbivore Botanicals is a 100% natural skin care and beauty company. They create products that are truly 100% natural, safe, non toxic, and highly, HIGHLY effective. Every ingredient included in HB products is there for a specific therapeutic reason. There are no fillers of any kind, which means almost every ingredient in their products is an active ingredient. This is why they’re so effective! Their products contain highly concentrated and effective formulas that are a rarity in the skin care and cosmetics world today. All formulas are original, created and tested by them, on real people, never on animals and always from scratch – no pre-made bases are used. To top it all off, all of their products are 100% vegan with an emphasis on organic and exceptionally high quality, therapeutic and food grade ingredients. We should all know by now that everything we put on our skin quickly absorbs into our bodies, HB ethically sources the finest raw natural materials the earth has to offer. 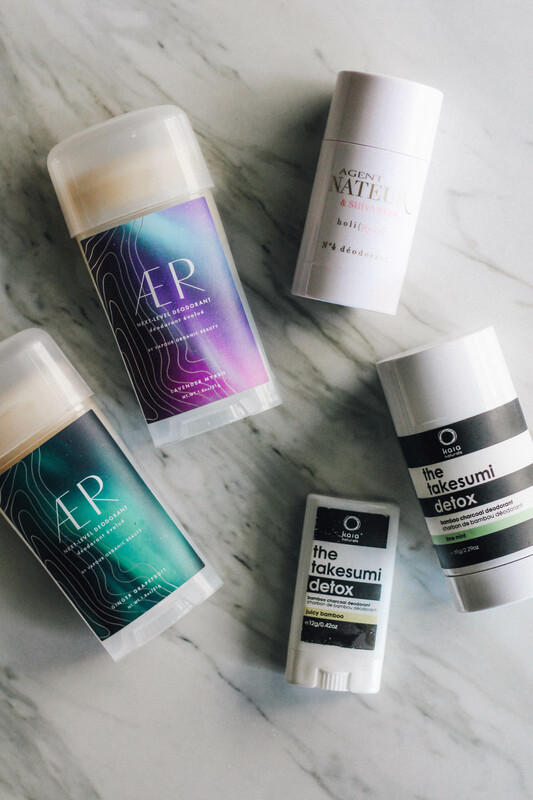 With ingredients ranging from Japanese Bamboo Charcoal to Brazilian gemstones, they formulate treatments that are luxurious, truly effective and all natural by combining essential vitamins, minerals and botanicals to restore skin to its optimum health and vitality. Nice right? Yeah, they’re great. They stand by their mantra and are consistent with the products they present. Natural, non-toxic, high quality and just plain good for your skin/body. 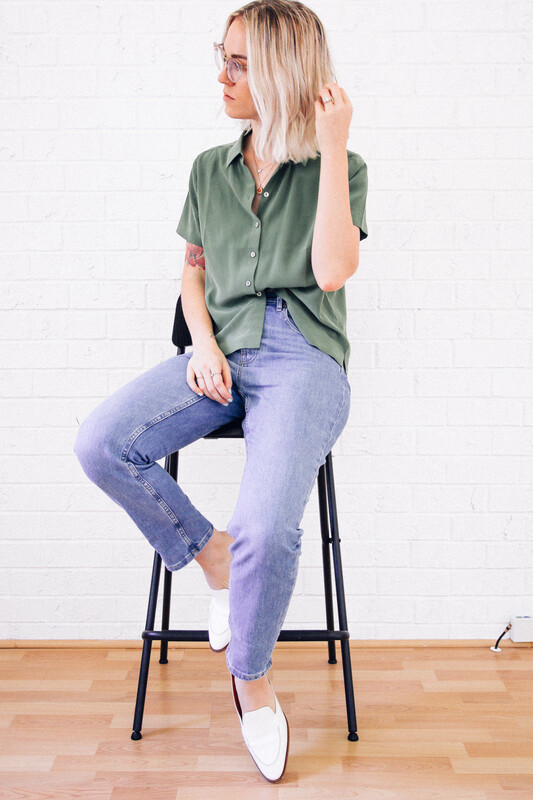 I wanted to highlight my three favourites at the moment and give you the low-down on why they’re so awesome! So, here we go! 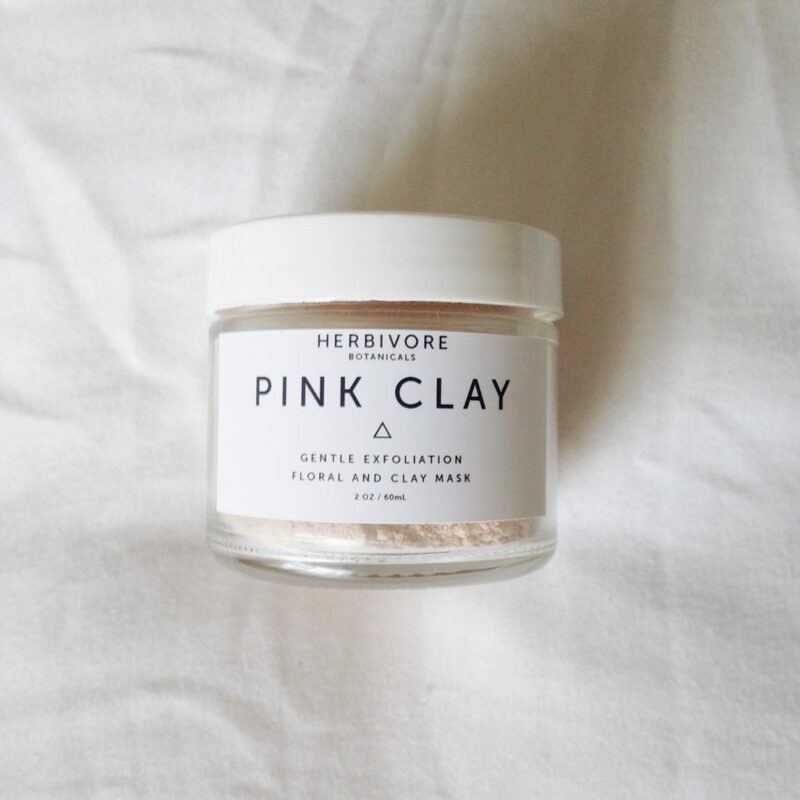 French Pink Clay: Pink Clay is for cell renewal, skin rejuvenation, and improving elasticity. It is very good for mature skin, bust firming, broken capillaries, and puffy dark circles under the eyes. It is high in Iron Oxide and Silica and helps to regenerate connective tissues. Rosehip Powder: Rosehip combines the traditional cosmetic use of Rosehip with a new application of Rosehip Seeds: exfoliation. Traditional use of Rosehip is mainly based on its sensorial properties, which convey an image both of delicacy and effectiveness. In the same way, Rosehip exfoliates the skin in a mild but efficient way, giving the skin a healthier and more radiant appearance. Chamomile Flowers: Soothes skin rashes, minor burns, and sunburns. Used as a lotion or added in oil form to a cool bath, Chamomile may ease the itching of eczema and other rashes and reduces skin inflammation. It may also speed healing and prevent bacterial infection. 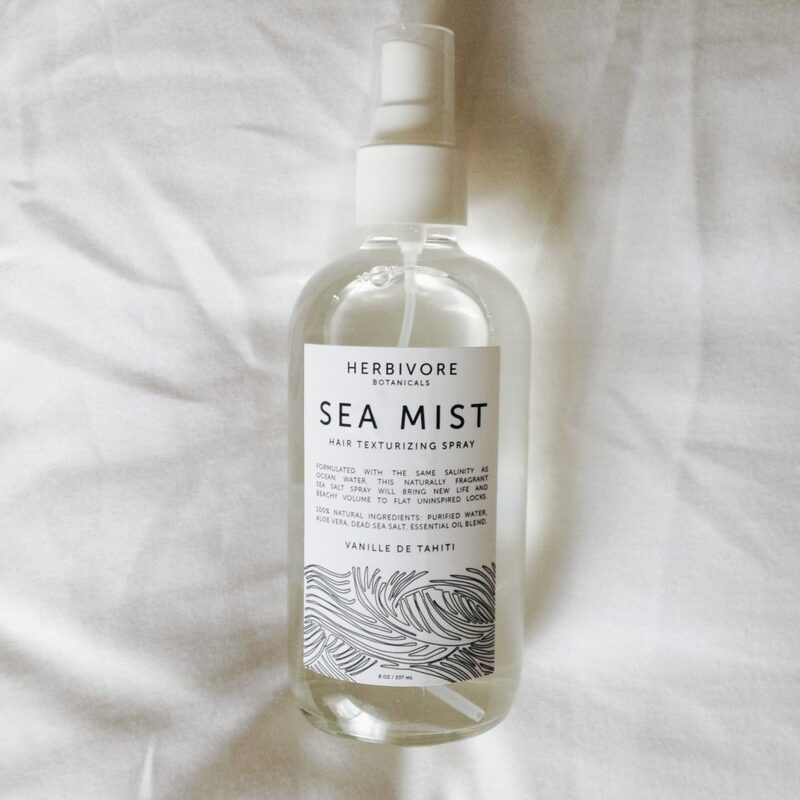 Fortunately, HB has changed the scent of this hair spray to coconut + vanilla…which, yes please…sounds amazing! Anyway, I LOVE this texturizing sea salt spray! It’s like the Bumble + Bumble, or Kevin Murphy beachy waves spray…but formulated without all the alcohol, chemicals and toxic ingredients. It provides texture, a beautiful, light scent that lingers and it’s refreshing! You can also use this spritz for your body! It contains aloe water to hydrate your skin, and it’s also safe to use on your face. I just love all of its uses! Aloe Vera: There are certain benefits of Aloe Vera that produce healthy hair. The gel obtained from a freshly-cut plant has antibacterial and anti-fungal properties that can be enjoyed when the gel is applied on the hair and scalp. It helps to clear itching, dry scalps, and brittle hair. Vanilla Essential Oil: This oil has a relaxing and calming effect on the brain and the nerves that provides relief from anxiety, anger, and restlessness. Lapis Facial Oil: I saved the best for last! THE BEST, everyone. I kid you not, this oil has been a lifesaver for any inflamed, red, problematic skin I’ve had. "Lapis Lazuli, a favorite stone of ancient Eygpt, is known for its gorgeous deep blue color. Lapis Facial Oil is named for the precious blue oils it contains, including Blue Tansy and Blue Yarrow. These oils contain a component called Azulene which acts as a powerful anti-inflammatory and antibacterial that aids in reducing redness and clarifying the complexion. Formulated for combination, oily, and blemish-prone skin types or any skin in need of relief from inflammation." German Blue Chamomile: A highly sought out oil in the skincare world, due to its anti-inflammatory soothing properties. Excellent for calming inflamed skin due to acne blemishes. Also, reduces redness and broken capillaries in any skin type prone to red irritated skin conditions. Blue Chamomile is also a natural antibacterial that works to prevent blemishes from forming in the first place. This oil is steam distilled and is naturally a beautiful shade of deep aqua with a high Azulene content. It is also an antioxidant protecting the skin from the oxidant effects of free radical and premature aging. Blue Yarrow and Blue Tansy: High in Azulene content giving them a deep inky blue color naturally. Azulene is a powerful anti-inflammatory and antibacterial that aids in reducing redness and clarifying the complexion. Additionally, blue oils are excellent at balancing oily skin without drying. Jojoba Oil: Has amazing moisturizing capabilities due to being so similar in structure to our skin’s own natural sebum; it is easily absorbed and also helps other oils to absorb more deeply into the skin. This oil is also ideal for combination/oily skin types because it will never clog pores. I mean, you can’t get any better than that. I use it every night, and sometimes during the day as a spot treatment – if needed! It is a skincare kit MUST.